Hello guys! long time no see. This time I provide some useful tools that I made myself using unity scripting and it’s for Unity-er guys like me. 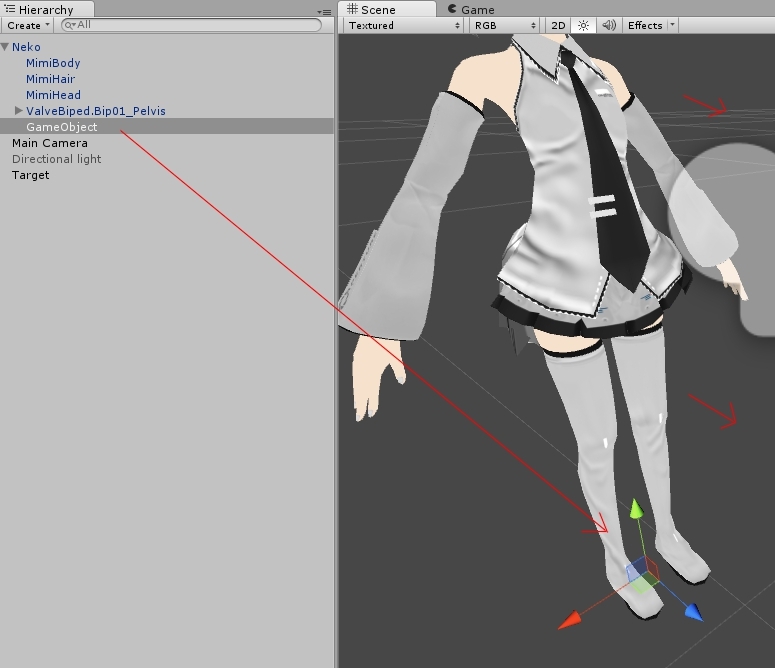 It’s useful stuff for the people who make anime model and use it in unity3d. It’s free. 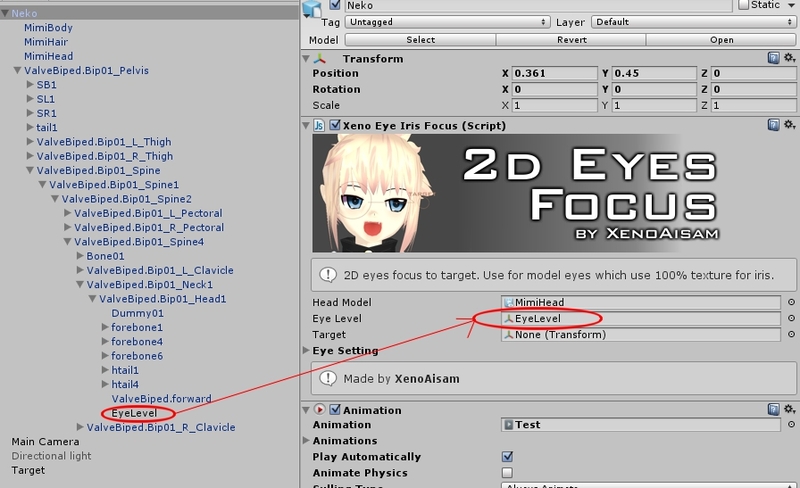 2D eyes focus is suitable for the model which is using fully textured on eyes area. A bit of step to do start up but its less bug so far. 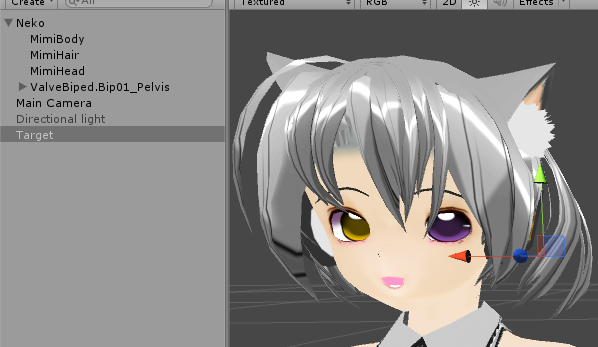 +For the “Eye Level” you need to create child GameObject on your model. +Make sure the axis of Z (Blue) is aligned with your model facing. +Now set the transform position of ‘Eye Level’ to all 0, 0, 0. Probably you want to set your rotation to 80, 270, 0. But make sure your ‘Eye Level’ z-axis is facing same direction with your model face. +’Target’ Empty slot is the target for the iris to focus/tracking/follow around. It’s up to you what kind of target you want to use. 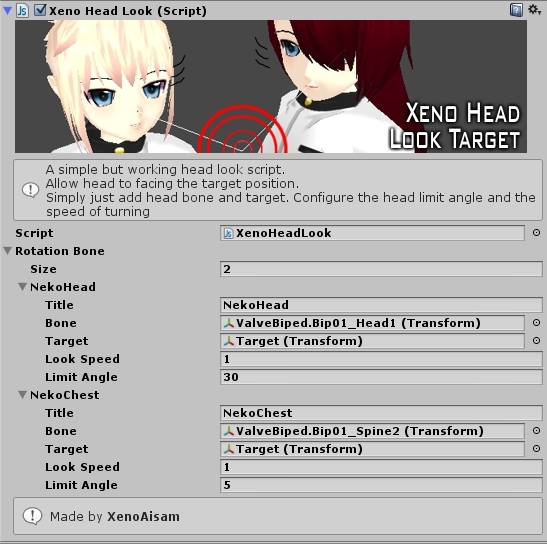 This is simple head look script that orientate the head to face the target position. 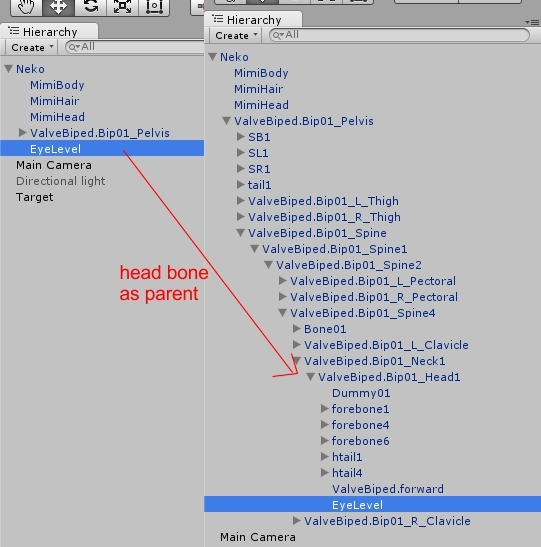 Not as powerful as the one in Unity example demo head look, but this one is easy to modify. 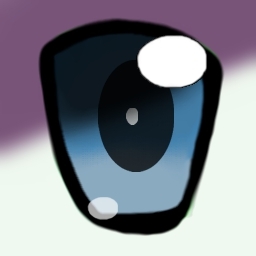 I thought I’m going to try your eye movement tricks but sadly my model’s eye was controlled by Blendshape. Anyway, I really like your hair physics, unlike mine, moving crazily crashing through their heads. Unity’s rigidbody is pathetic, I hope Unity will support Bullet Physics soon. Lol my hair physics not work well too. But physx engine is awkward compare with havok or bullet. Because when the model is small, the physic not behave properly. 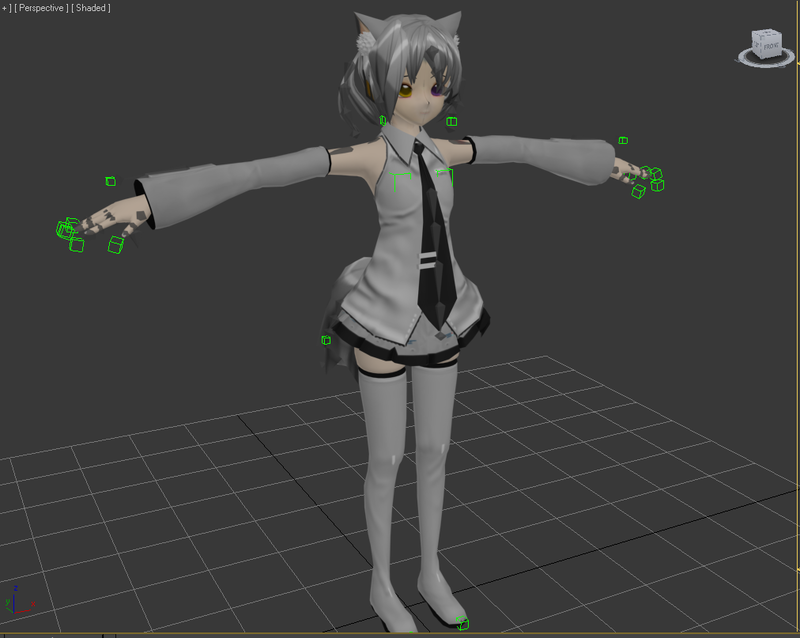 My model hair only use rigidbody, no collider apply. I just limit the rotation.